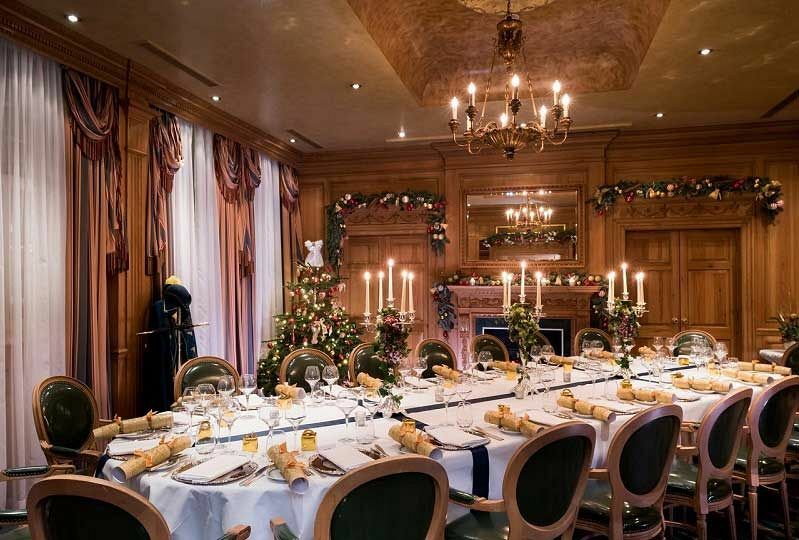 Experience a taste of pure luxury this Christmas in London with an exclusive celebration at this stunning Grade Two Listed venue situated in stylish Kensington where you and your team will experience a sophisticated two or three course luncheon. The two course is priced at just £41.67 per person excluding VAT, whilst the three course is priced at £56.67. You’ll enjoy exclusive hire of the breath-taking Windsor Suite, an elegant dining room that’s adorned with antique pine panelling, striking original artwork and a private butler’s pantry, making it an ideal location for your elegant festive celebration. On the day of the event, be sure to come smartly dressed, because this is one occasion where you’ll want to stand out and sparkle at this exceptional five-star venue. It won’t be long until everyone’s called to take their seats at their beautifully decorated dining tables. 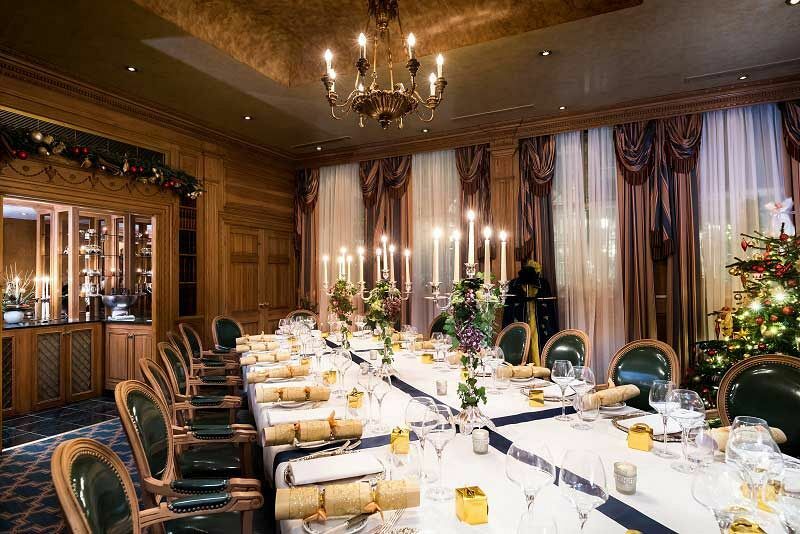 Each guest will be served a sumptuous two-course lunch from the tempting festive menu. Indulge in a hearty main and choose either a delectable starter or one of the heavenly desserts. Freshly brewed coffee and homemade petit fours will be served to conclude the dining experience. This excellent package is available for groups with a minimum size of 8 and can accommodate up to 30 guests. The venue are delighted to offer room hire with their compliments and a dedicated event executive who will tend to your every wish. If you would like to make your celebration extra special, then the following can be included for an additional cost: Champagne Sabrage, Menu Upgrade, Bespoke floral arrangements. Send an enquiry through today and get your two-course festive luncheon booked at this incredible venue.